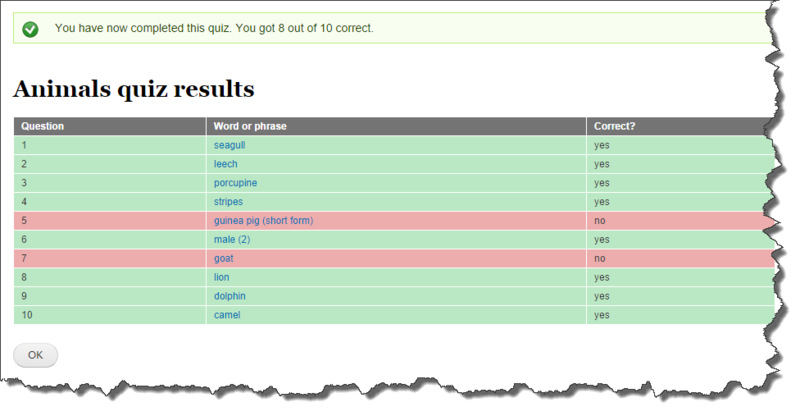 The way quiz answers are displayed has been improved by the removal of the Thai script. This may seem strange that removing something can improve it, but the reason I think it improves things is that, unless doing the quiz for reading or writing, the emphasis should be on listening. Therefore, the student should be listening very carefully to the audio and not trying to read the Thai text. Below is an example of the new, simplified, quiz answer format. Another 1000 recordings added! Now over 2800 recordings! Since my blog post in May celebrating 1800 recordings, I'm pleased to say we've added over 1000 new recordings and have now well over 2800! The actual current value you can always see at the French Statistics page. Read more about Another 1000 recordings added! Now over 2800 recordings! I think this is a lot clearer to have on its own tab. I am very pleased to announce the addition of Dutch to the Lingopolo family, joining its Thai and French siblings! I'm very pleased to introduce prerequisite checking, a way to make sure you know what you need to know, when you need to know it. What this means is that Lingopolo will keep an eye on what words you already know (or, rather, what words you don't yet know), and will make sure they are revised before it lets you go further. 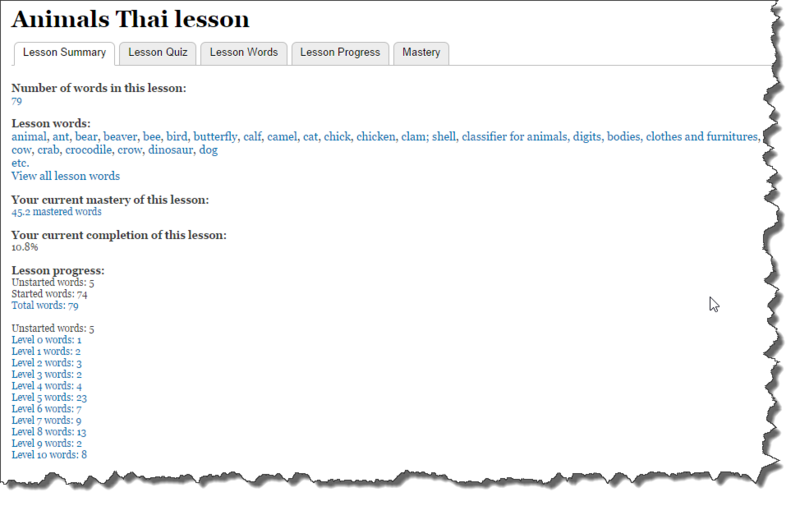 I am very pleased to announce a completely new type of lesson: examples of a particular word in use. 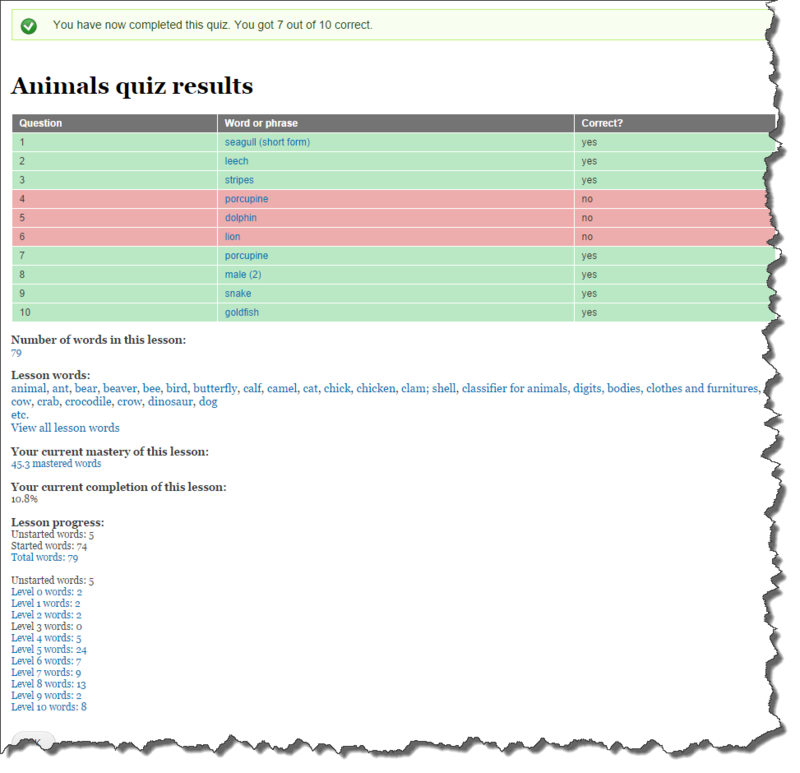 The messages displayed during a quiz and displayed for the quiz results have been improved. Sometimes, in order to improve something, you need to actually take things away, rather than add them. Now 1800 French recordings! And growing at 400 per month!! I am very pleased to report that the number of French recordings on Lingopolo has now gone over 1800. The other thing which I am excited about is that in the past 2 months alone, around 800 new recordings have been added!! This means that recordings are currently being added at the rate of 400 per month! This all adds up to a better language-learning experience for you: a wider vocabulary with more examples of each word being used. Happy Lingopolo French study! Read more about Now 1800 French recordings! And growing at 400 per month!! I am very pleased to report that Lingopolo now already has over 1000 recordings! In fact, at the time of writing there are 1081 separate recordings (of which 733 are words and 339 are phrases). The snapshot today is shown below, but at any time you can check the French Statistics page for the latest figures. Read more about Over 1000 French recordings!